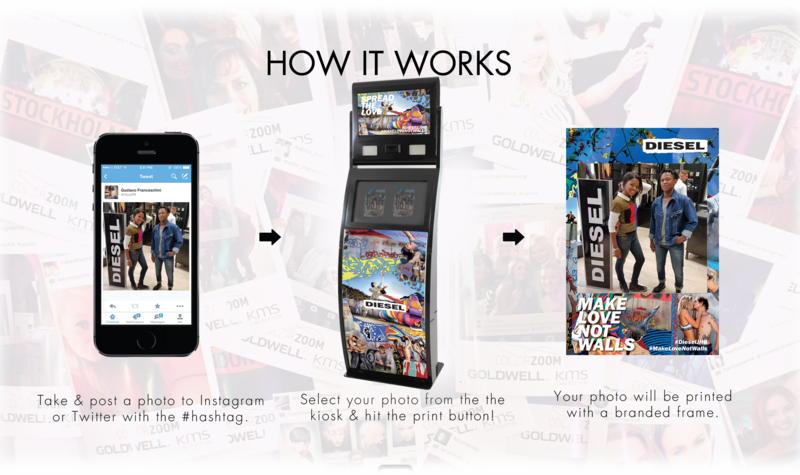 Print Instagram and Twitter photos from our Hashtag printing kiosk. By encouraging your guests to upload photos to Instagram & Twitter using your brand or event #hashtag, you are building your brand’s social media footprint by way of user-generated content. For every post with your #hashtag, all of that user’s friends will experience your brand. The social media outreach is exponential! Select your photo on the kiosk touchscreen and receive a branded print. Speak to us about booking a Hashtag printing solution for your next event.